I’ve been riding my bike again. I was going to keep this quiet for a bit, just in case I had some kind of horrible setback and discovered that my legs are more damaged than I thought and then suffering the inevitable told-you-so’s, but it seems like my 11 days of doing absolutely nothing, resting, not leaving the house, missing the Strathpuffer (grrr) etc have paid off nicely. I’m not quite ‘there’, but I soon will be. Apart from a bit of knee and shoulder pain, that will no doubt be some stubborn bruising and the fact that my ankle (the one with the chipped bone) is still rather swollen (ok, I’m still quite bashed in), I’m really pleased with my rate of recovery. 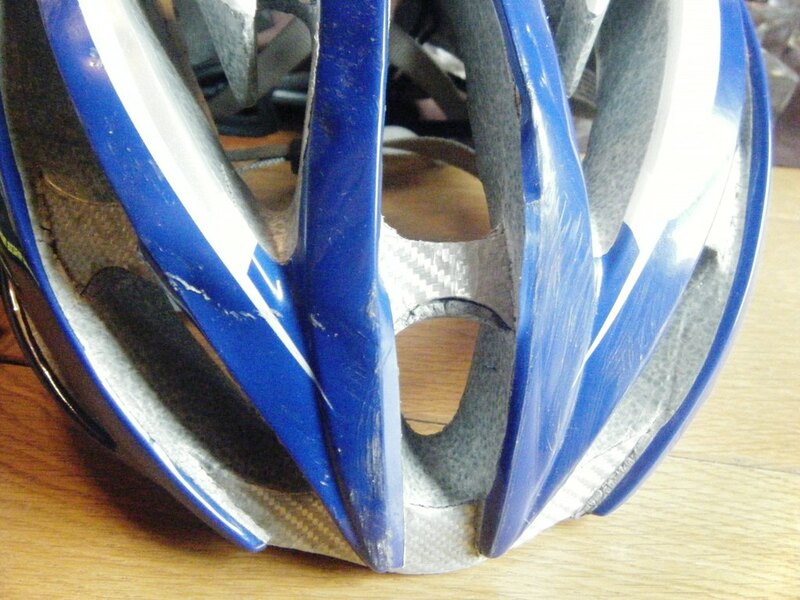 After all, It wasn’t that long ago that I was lying on the road, holding my legs in agony with a smashed helmet, after which I was being told that I could expect ‘6 weeks’ of rest to recover. Yesterday I rode to work and back. Felt ok-ish. Not too worried about a couple of aches and pains. 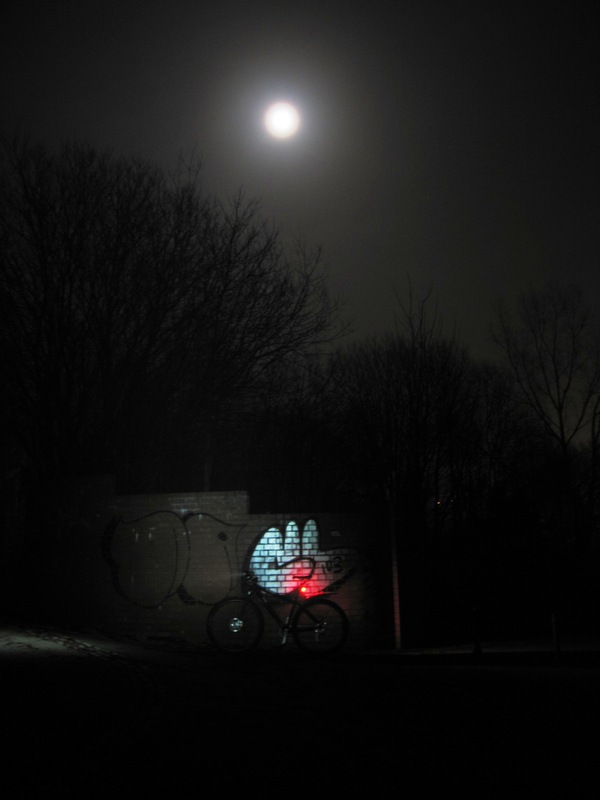 So I went for a ride last night – it was a full moon and while I’m not a werewolf there’s something really special about riding bikes off-road, sometimes quite literally by the light of the moon. Last night wasn’t quite like that, it was really foggy, but it was still pretty cool. I rode only for an hour or so but was able to climb ok, a couple of hard efforts were despatched without any stabbing pains anywhere. Ached a bit when I got home, but had some protein and put my feet up and rested my shoulder. Rode to work again this morning, rode hard for a few minutes, I felt good. I’m going to keep the short rides going for the rest of this week, keep them less than 3 hours, and then pick up where I left off at the weekend. Good stuff! It’s hard having a forced break from the bike.